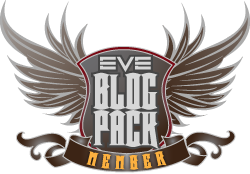 This entry was posted in Uncategorized and tagged CSM, eve online, Goons, In character, Lessons, Mike, war. Bookmark the permalink. I am a very lazy prepper. Over there I have a mining fleet. Around the place I have missioning ships. When I moved on to a new activity I just left my stuff behind. About the only ships that I actually travel with are my incursion running ships. But I haven’t run incursions for some time. I fell behind the bleeding edge and nobody wants a mere deadspace fit scimitar in their fleets anymore. But I still have mining, which is worth nothing thanks to the Rorqual changes. I still have salvaging, which is worth nothing thanks to the nullsec NPC rebalance. I still have mission running and levelling my raven. I still have quitting the game and doing something else. It’s been a while (2yrs) and I have long since lost pace with the meta. But I would thought dead-space fitted logistics would always get a place on a fleet.